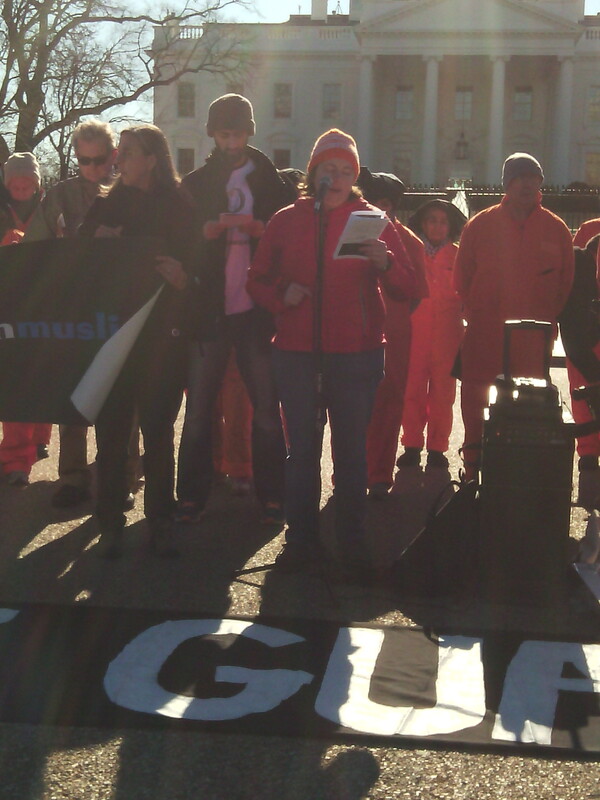 ICNA CSJ participated today in the close Guantanamo rally in front of the White House. Today marks the 14th anniversary of the first prisoners arriving at the detention center at Guantanamo Bay. 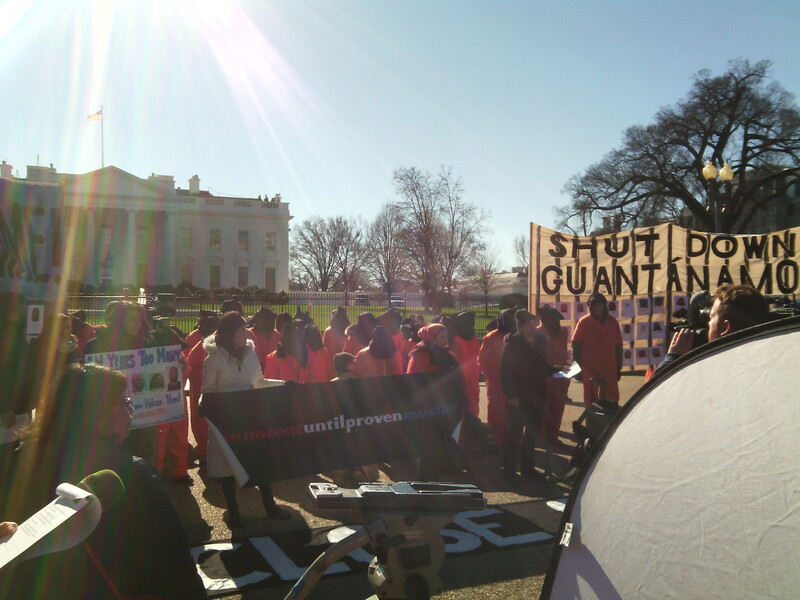 The event was organized by Witness Against Torture, which works with various organizations in trying to shut down Guantanamo. The event was quite successful and many showed up despite the extremely cold weather.